HELPING YOUR DOGS LIVE HAPPIER, HEALTHIER, MORE COMFORTABLE LIVES! There is nothing worse than watching a member of your furry family suffer from arthritis pain, hip dysplasia and the effects of aging. Their joints so stiff, swollen and painful that it keeps them from moving like they used to and living their lives to the fullest. Dogs that were once full of energy and life start slowing down. Basic activities like climbing stairs, jumping into the car, getting up from a nap or just going for a walk become more difficult. We've helped thousands of dogs be more happy and healthy in the 15 years we've been making Flavocin, and we can help your dog, too! Why stand by and watch your furry best friends age prematurely when there is something that can be done. 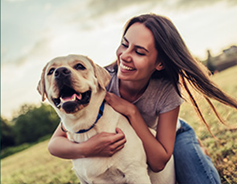 Give Flavocin a try today, both you and your dog will be happy you did! Flavocin was developed by a clinical nutritionist and staff veterinarian wanting to combat the onset of joint problems for pets. They decided to find a solution for maintaining joint health, strengthening connective tissue, and reducing damaging cell oxidation. The result was a greater range of motion and joint flexibility long term for a happier and healthier dog. It also contains powerful antioxidants used to help fight the effects of aging on your dog. The research also suggests that ingredients found in Flavocin can increase the total antioxidant capacity and stimulate defenses in blood. In addition, it is believed that the most dangerous free-radical produced by your dog’s body as it gets older is called the hydroxyl free-radical. It is so damaging because it directly attacks the DNA which is the building block of all cells. The research also suggests that the ingredients in Flavocin may “search and destroy” this dangerous hydroxyl free-radical. Another report found evidence that Bioflavanols may be effective in fighting canine hip dysplasia. In a double-blind, placebo controlled, 14-week clinical evaluation, 85.7% of dogs given Bioflavanol supplements showed improvement in joint function and relief of joint pain. The end result – a Happy and Healthy dog by your side ready for any Adventure for Years to come! 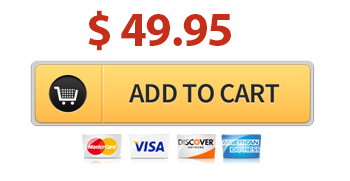 Simply choose the SINGLE option for a single 90-tablet bottle of Flavocin, or for the best value, choose the PREMIUM option to save $10 per bottle and also get free shipping. "I am seeing great results with Flavocin. Your product is extraordinary. My dog will not eat any other pill except yours. 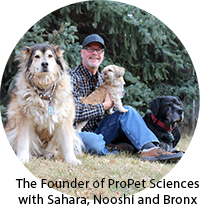 For me, this is a big deal, as I did not like force-feeding the prescription pills. ." - Steven H.
I'm Norm, and I'm the guy behind ProPet Sciences. We are a grassroots and local employee-owned company started for the love of pets everywhere. Here in Colorado dogs aren’t just pets… they’re our Family first and foremost! I've been helping dogs with joint problems with Flavocin since 2004, and I'm here to give your dogs the life they absolutely deserve. If there is ANYTHING I can do to help your dogs, please contact me and I'll get you taken care of right away.